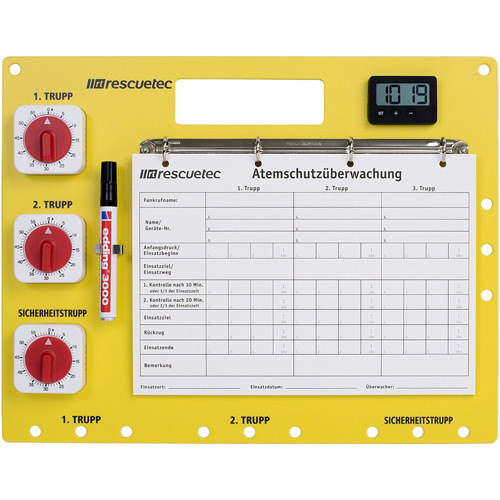 The mechanical control board Stuttgart is ideal for monitoring three teams with up to three persons. It is with holes for tallies. Upside are two holes for a shoulder strap (AS-01140, not included). 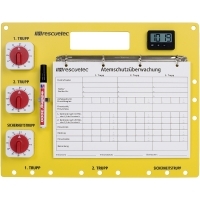 Sehr gute Tafel. Einfach, übersichtlich, logisch. Kann jeder bedienen.